1. You looked on the “wrong” website – Just because you didn’t find them on one website doesn’t mean there’s no record. Record coverage may be incomplete on one site, so try searching on another. Also check out the card catalogue on Ancestry to look at specific record collections. 2. The index is wrong because of transcription errors – My great grandfather George Young showed up in Walsingham, Norfolk because of a mis-spelling of Wolsingham in County Durham! 3. You looked under the “wrong” name – Your female ancestor may have married twice or married “late”, so think carefully about the other surname possibilities. Members of the aristocracy may appear under their birth surname or their inherited title. Christian names can be tricky too: a girl baptised Elizabeth might be called Betty on her marriage certificate. 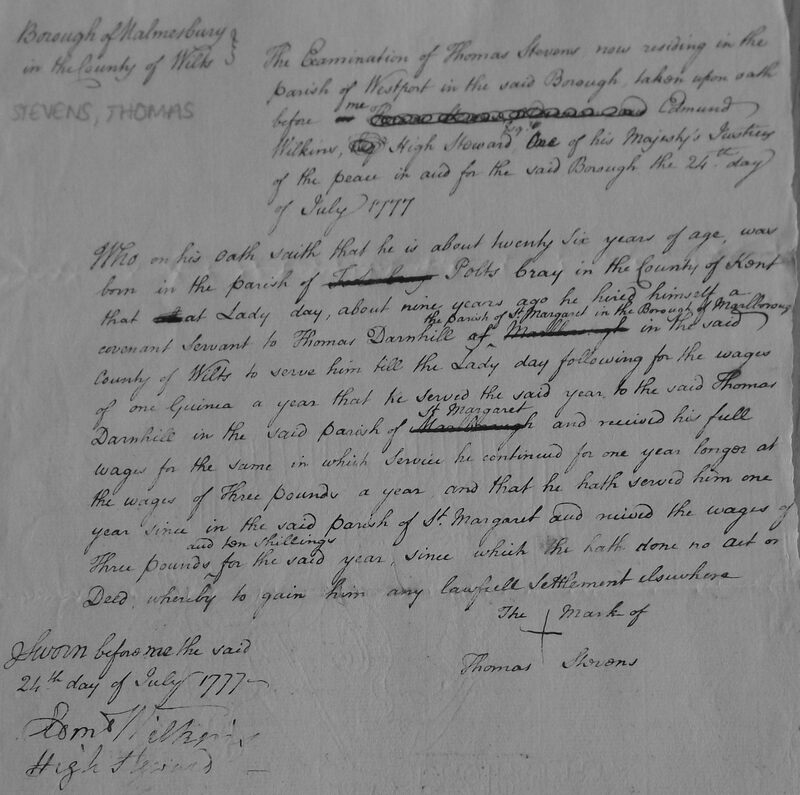 Thomas STEVENS, residing in Westport St Mary, Wiltshire, states in his settlement examination of 24th July 1777 that “…he is about twenty six years of age, was born in the parish of Polt’s Cray in the County of Kent…” WSHC Ref 1589/74A A-H.
4. You looked for them in the wrong place – Our 18th and 19th century ancestors often travelled more than we realise. Read here about Thomas Stevens, residing in Westport St Mary, Wiltshire in 1777. And your family members will not necessarily re-appear in the same household at the next census; perhaps they went to live in the workhouse, with other relatives or into domestic service. 5. You gave up too soon – Your ancestor may not be top of the Ancestry results list. Be methodical and persevere. And stay alert by only searching for one hour a day over 3 days instead of 3 hours all at once. 6. You didn’t try offline – Many records, especially before 1837, are still not online. Try searching the vast Family Search indexes for your ancestor’s baptism, marriage and burial. Use what you find to guide you to the actual registry entry in the county record office. 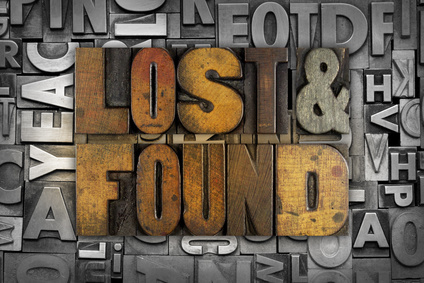 To get help finding your “missing” ancestors, contact Woods for the Trees or read more of Steph’s Family History Blog!